Imagine waking up to incredible views of beautiful azure waters outlined by green lush palms on the edge of magnificent waterways. This dream can come true in a stunning estate home in Palm Beach Gardens along the Intracoastal Waterway. 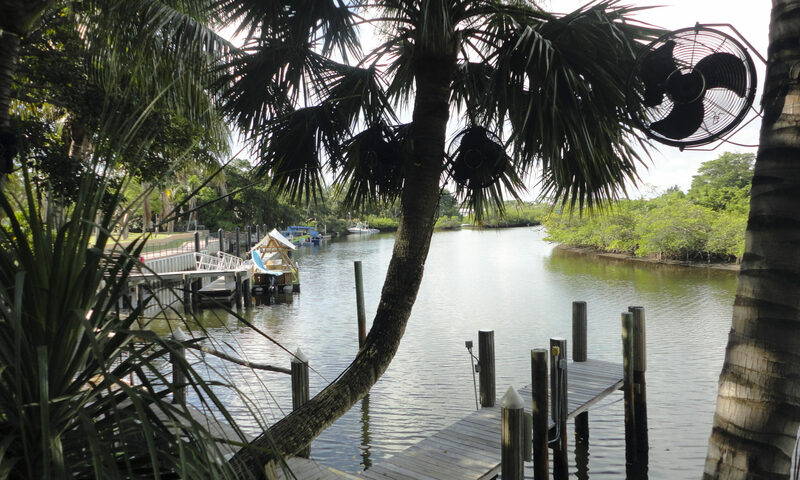 There’s nothing quite like living on the water, and when you own a home with a private dock you can be heading towards the beautiful cerulean waters of the Atlantic Ocean in just minutes. The homes that line the Intracoastal are spectacular. Inside you can expect every luxury finish and upgrade, along with top-of-the-line appliances and extraordinary design features. You will notice that most homes feature large windows, perfect for enjoying the views. Not only do the homes enjoy the views out over the water, but many also look out towards beautiful nature reserve areas. The open plan living continues in the outside spaces, where beautiful private pools and outside kitchens are surrounded by tropical landscaping and coconut palms. Along the waterway you will be able to choose between homes within exclusive gated communities, and homes that stand alone. In Paradise Port, you’ll find million-dollar properties with no HOA. Cypress Island offers stately homes built in an ‘island’ style, with a manned guard gate and community pool. In Maheu Estates the homes along the water have oversized lots and room for large yachts. You will be sure to find the perfect community to suit your needs. There are even some open land plots available, where you can design and build your own masterpiece without the restrictions of the existing architecture. Whether you are heading out towards the ocean for some world-class fishing or dolphin watching, or just cruising up or down the ICW, you’ll be sure to love the journey. Enjoy family days out, romantic sunset cruises, exciting expeditions, and overnight excursions to enjoy the beautiful ocean sunrise. Or choose to take a solitary fishing trip to get away from it all – the Gulf Stream is a true fishing paradise. The Intracoastal is home to beautiful unspoiled scenery and natural habitats of some of Florida’s most famous local wildlife, such as manatees. You can learn more about South Florida’s wonderful marine environment at the nearby Loggerhead Marine Life center. The center offers many educational exhibits and experiences, and is home to the only sea turtle hospital between the Florida Keys and Orlando. You’ll also find nature trails, picnic areas, a children’s playground, a guarded beach, and a gift shop. If you ever tire of boating, you can of course relax on the beautiful nearby beaches. At Juno Beach you can enjoy 2.3 miles of pristine white sand, and visit the Juno Beach pier which is popular with fishermen and sightseers alike. If you’d like to get a bit closer to nature you can explore the Juno Dunes Natural Area, a beautiful natural park that is perfect for hiking. If you prefer a round of golf, the homes along the Intracoastal in Palm Beach Gardens are surrounded by some of the best courses in Palm Beach County such as The Bear’s Club, and The Trump National Golf Club. Memberships are available at both of these prestigious private clubs, both of which were designed by legendary course designer Jack Nicklaus. For those in need of some retail therapy, Palm Beach Gardens is home to a number of world-class shopping destinations. Downtown at the Gardens is a pedestrian-only open-air shopping center with popular stores and restaurants, and nearby PGA Commons offers boutiques and exquisite eateries. You can also enjoy a luxury day of shopping at The Gardens Mall, which features high-end shops in a beautiful setting, and hosts regular mall events. There are a number of excellent schools located within Palm Beach Gardens, and many attractions to keep the kids entertained outside of term time. The nearest major airport is Palm Beach International Airport, and the I-95 provides easy access to this and other locations throughout Palm Beach. If you’d like to know more about the gorgeous estate homes along the Intracoastal in Palm Beach Gardens, contact a member of our team today. I am interested in learning more about Palm Beach Gardens Intracoastal &amp; Canal Estates homes.